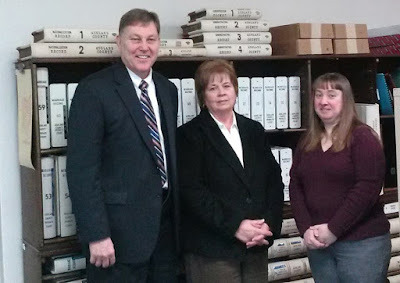 Family Search representative, John DeJong, along with Ashland County Probate Court Administrator, Nancy Dyer and Ohio Genealogical Society representative, Marleen Applegate met today at the Ashland County Probate Court to review and assess material for digitization. Exciting things are going to be happening in the next few months for Ashland County in regards to getting things digitized! Not only is Ashland County being looked at, but also Richland County, Lake County, Mahoning County, Muskingum County, Athens County, Fairfield County and Stark County. These counties were high on the priority list for Family Search. They plan to update and add to records that are important and not always known about or publicly available. The Ohio Genealogical Society is excited to be a partner in this undertaking. The Ohio Genealogical Society will offer three open genealogical forums on Monday, January 25, February 22, and March 28, from 10:00 AM to 12:00 Noon, weather permitting. 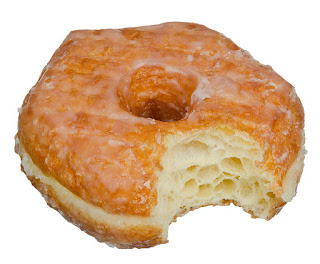 The sessions are titled “Morning Genealogy & Donuts” and will be held in the large meeting room at OGS, 611 State Route 97 West, Bellville, Ohio – I-71 at Exit 165 heading east past Der Dutchman restaurant and the bike path crossing. We will have the Internet up on the screen and will attempt an answer to your family history inquiries. This is just to keep our minds busy until our regular Spring-Summer-Fall classes begin with the OGS Conference in April. Anyone is welcome to attend – no fee. Please come with your questions and charts. OGS does close if the Mansfield City Schools close due to weather problems.